Sometimes we take time off from serious photography and play “bikers”. 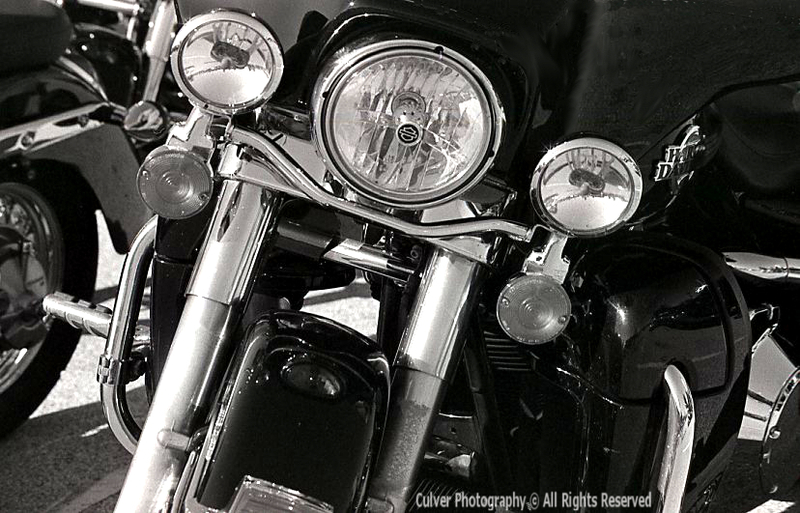 We get the Harley Davidson Ultra Classic all shined up and away we go. 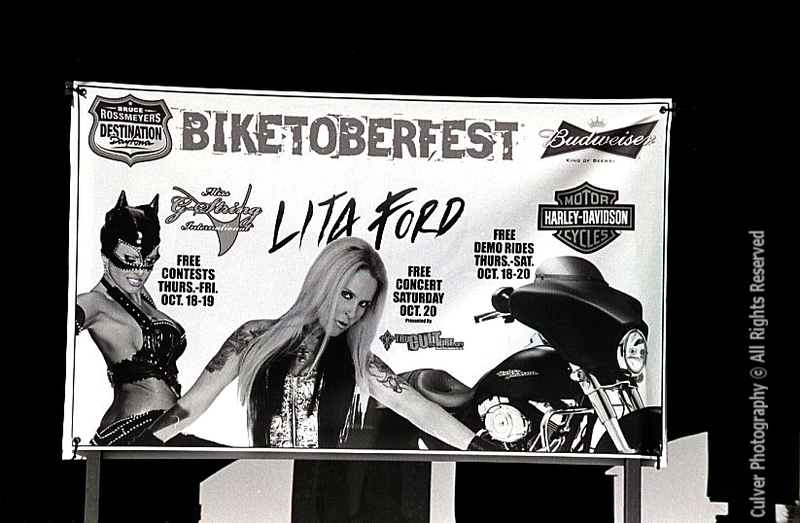 This past weekend was the second in yearly motorcycle events here in Daytona Beach, Florida, “Biketoberfest”. This event lasts from Thursday through Sunday evening and, this year, started on the 18th of October. During this time the rumble of motorcycles is constantly heard, morning, noon and night. Now I have to tell you that we used to own a beautiful custom bike (which Marks built), a Harley Softtail FXSTC. 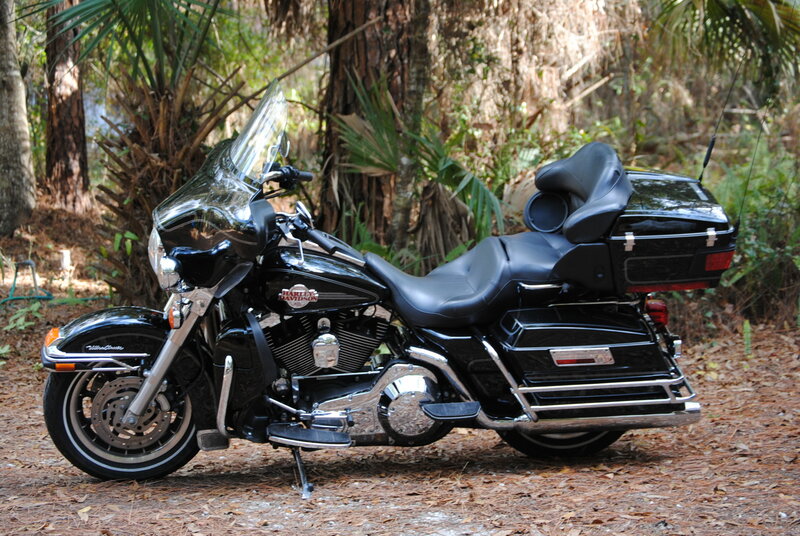 The name “Softtail” doesn’t mean it rides like an armchair either. In fact, totally to the contrary. 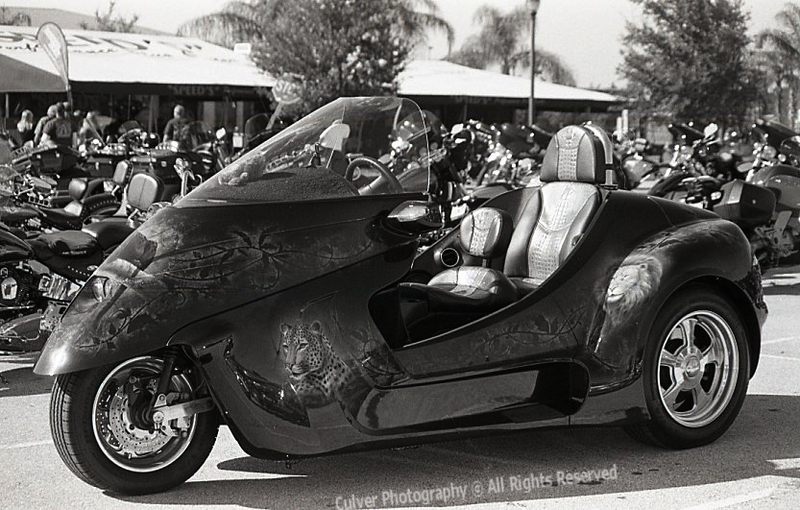 As our butts got numb from riding we were forced to admit that aging meant we would have to step up to a more leisurely ride, the “Geezer Glide”, pictured below in digital color. Now this bike is comfortable. Note the wonderful reclining type armchair on the back – that’s where I sit!! 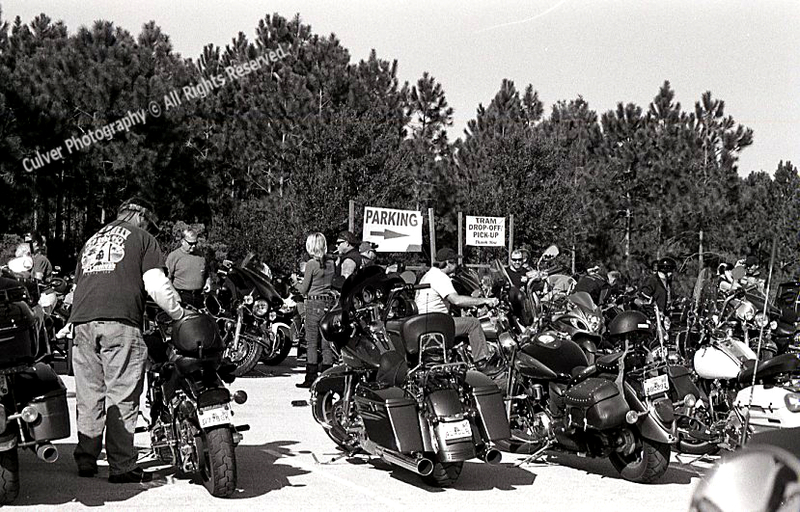 Anyway back to “Biketoberfest”. 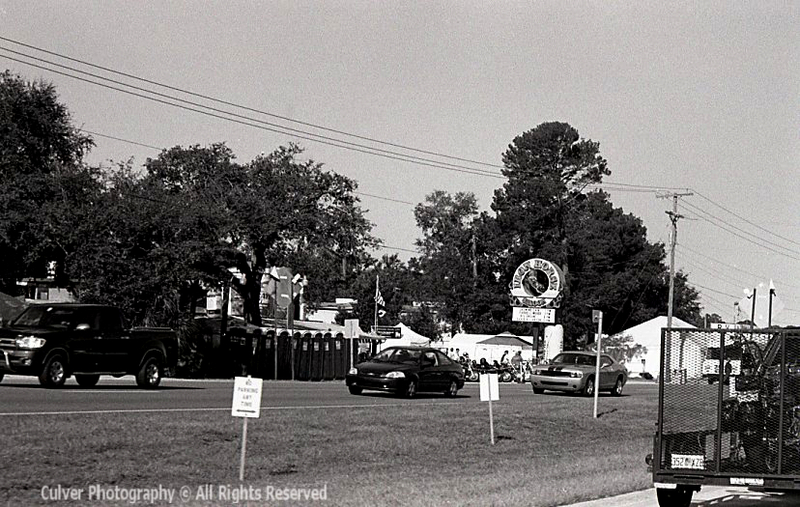 I managed to shoot a roll of film with the 35 mm Nikon N50. 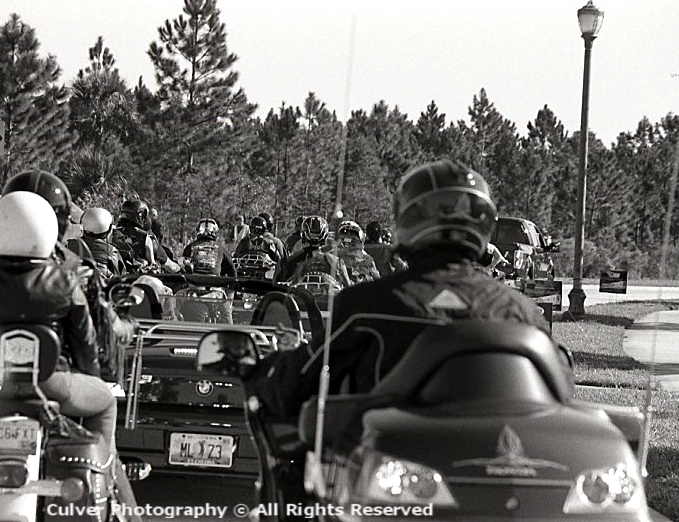 Some of the shots were from the back of the moving bike surrounded by throngs of other bikers. Here are the first few that we’re going to share with you. There will be a special treat in tomorrow’s post, especially for the guys. Just a teaser to make sure you come back. Stay tuned. We will be posting some more “custom” bike pictures tomorrow along with that special treat for the guys, as promised. This post is a change to our normal Florida scenery and history. Our version of “street” photography with a twist. Thanks for viewing and let us know what you think. Comments are highly appreciated. Thanks JJwp. It was fun. geezer glide looks mighty comfortable. Enjoy ! 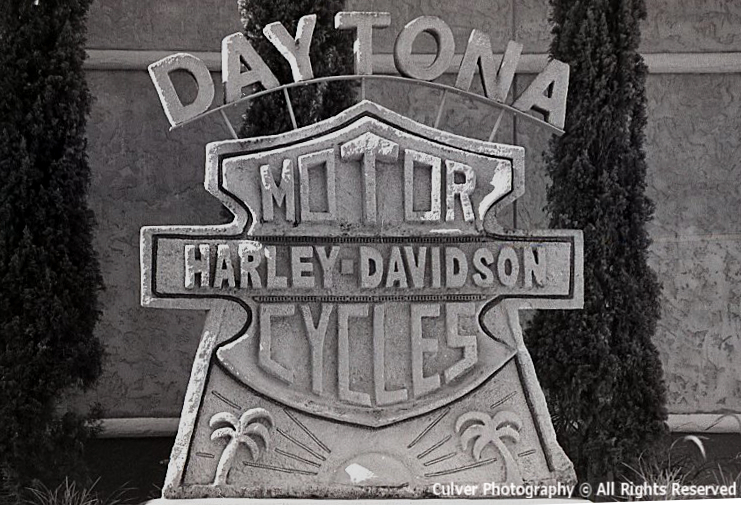 I just love Harleys, what a great collection of great photographs! The Geezer Glide will still be a great adventure, I’m sure. That it is and a lot more comfortable than the Softtail for our aging behinds!! I too have an Ultra — and have been there several times — what a blast ! Thanks for the nice comment. It can be fun. Have a great day, Ride safe.